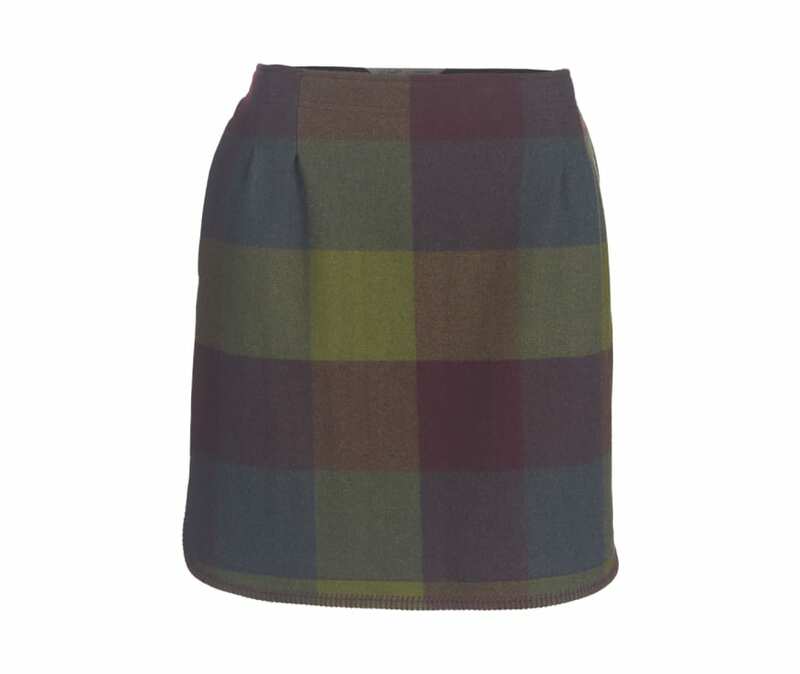 Seasonal plaids take center stage in Woolrich's Richville II Wool Skirt. Made of a wool/polyester blend, this skirt delivers a great look for fall and winter. Flattering Hollywood waist, with two 1 ? knife pleats on each side of center front. Side seam zipper embedded in left seam; on-seam pocket on right seam. Smooth tricot lining attached to inner waist. Curved shirt tail hem is 3? higher on sides; hem is finished with a blanket stitch accent.